Whilst debating which images to include for my upcoming Pecha Kucha presentation (see previous post) I began reminiscing about how this particular journey i.e. the bobbin installation, started. If I had to pinpoint a time, it would be during my second year at uni when I became fascinated with lines. During the summer break I was sitting idly at the computer pretending to do research when I typed ‘lines’ into the search box. 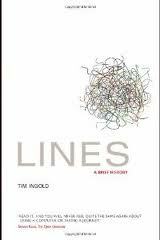 Among the thousands of references was a book, ‘Lines A Brief History’ by Tim Ingold (published by Routledge). Intrigued by the suggestion that I would never consider lines in the same way after reading the book I went ahead and ordered a copy. Even before the end of the Introduction my mind was racing. 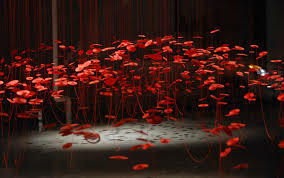 Ingold’s description of lines as threads and traces – transforming from one to the other, and that ‘whenever threads turn into traces, surfaces are formed, and whenever traces turn into threads, they are dissolved’ – formed such beautiful, ephemeral images in my mind. It was however, his ideas about life that really got me thinking; ‘Life on the spot surely cannot yield an experience of place, of being somewhere. To be a place, every somewhere must lie on one or several paths of movement to and from places elsewhere. Life is lived, along paths, not just in places, and paths are lines of sort’. Immediately I began to look around me, where I lived, the paths that connected from one place to another – and that’s where the canals came in…and they led to the textile mills and the rest is history as they say! Tim Ingold’s book is fascinating, even the chapter headings conjure up the notion of flowing lines – how one thing leads to another. It’s well worth a look. And yes, I do feel it would be a tad unfair not include an image of this book in my Pecha Kucha presentation – after all, it did start me off on my journery!! Thought I would tell you about our Pecha Kucha presentations we have been asked to do for uni. Devised in Tokyo in 2003, Pecha Kucha (from the Japanese term for the sound of ‘chit chat’) rests on the simple idea of presenting 20 images x 20 seconds. We have been asked not to show our own work, but to talk and show images of things that mean a lot to us or have influenced our work. Some of the participants have kept strictly to artists that have inspired them, others have veered away from that to talk about other influences, for example, their family, and some have produced a presentation that is a mixture of the two. As my turn is coming up during the first week back after Easter I have begun to think about and compile my presentation. Whilst doing this I have come to realise it is extremely hard to narrow the presentation down to just 20 images! 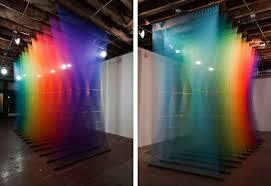 The more I add to my selection, the more I realise what an eclectic mix it is – everything from artists’ such as Gabriel Dawe, a Mexican artist who creates fabulous optical illusions within site-specific installations (click on the link to view his website) to places that mean a lot, as well as people that are important to me. Although this Pecha Kucha is not compulsory, I think it has been a very useful exercise in focussing your mind on what matters most, not only in your work, but also in life. I was introduced to another way of collating my influences by a uni colleague. To those of you who already know about Pinterest then I apologise for telling you things you already know; for those of you for whom all things techno is still a mystery then listen up. Pinterest is a very simple way of creating ‘boards’ of everything that interests or influences you – it could be anything, from an artist to an object to a place to a…whatever you want. The best thing is that it really is very easy to join and start uploading images – if I can do it then it must be simple. Click here Pinterest to see for yourself. Again, it’s a great way of seeing at a glance what influences you. Give it a try, but be warned, it is quite addictive! Well another week has passed and the 3D animation of the bobbin installation is progressing. Had another lesson from the very helpful IT technician who introduced me to Final Cut Pro. Now for all you computer whizzes this might be old hat to you, but to me it is another step forward in my IT education. Admittedly I am only using the basics on the programme, but already the animation – with the addition of some of the sound tracks – is really coming to life. Click on the link to see for yourselves. Spent a lovely weekend touring around the Yorkshire Moors – nice lunch in Helmsley – and equally pleasant evening meal at The Queen’s Head in Finghall. 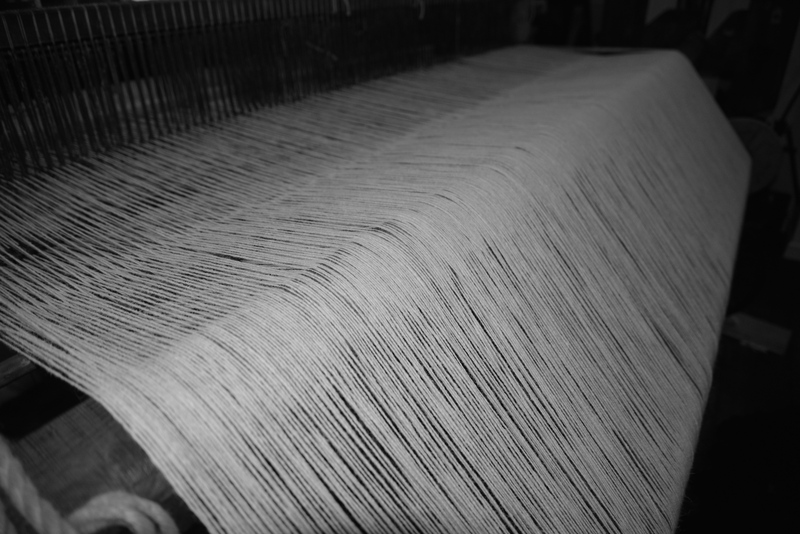 Visited the Farfield Mill Arts and Heritage Centre just outside Sedbergh in Cumbria and saw different examples of hand operated looms as well as the mechanical type. Everyone at the mill was very friendly and helpful and the ‘heritage exhibitions’ are very interesting. It was also interesting to view the artists’ studios – such a variety of work! 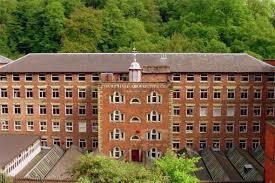 Again, click on the link to get a taste of what’s on offer – Farfield Mill. 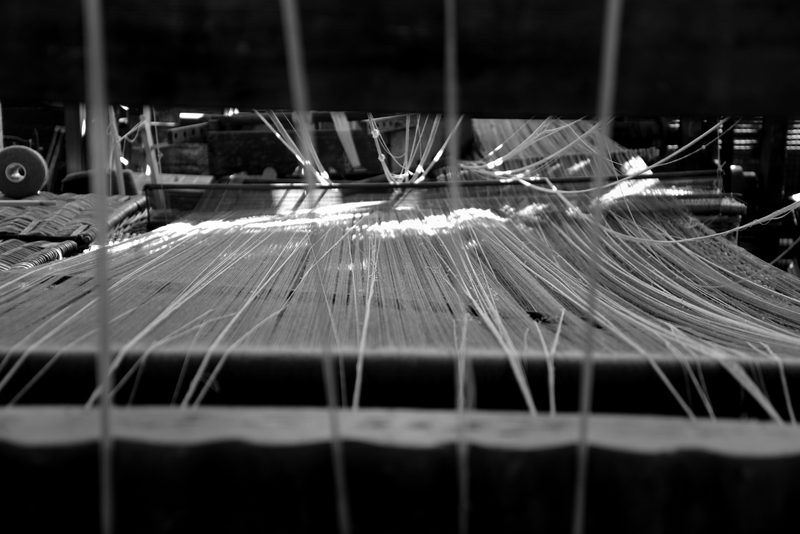 As you can see from the photo, it was the threads that captivated me again! The mill provided me with further inspiration for my installation and I am now trying to source the materials in order to realise the new additions. March 13, 2013 March 20, 2014 by cjr01Leave a Comment on The Threads That Bind…. Thought I would share with you one of the artists whose work has inspired my own. Beili Liu is Chinese artist who now lives and works in Austin, Texas. She is a multidisciplinary artist, working with time and process based installations exploring cultural specificity and overlaps, conflicting and confluent forces and transient and persistent energy. She uses everyday materials such as thread, wood, paper etc that have a fragility. I particularly like this Lure Series which is based on the ancient Chinese legend of the red thread that tells that when children are born invisible red threads connect them to the ones whom they are fated to be with. Over the years they become closer and closer until finally they find each other. Check out Beili Liu’s website to see this and the other works she has created (I also like her Bound 2 work). I love the idea that we are linked, connected in some way and I like the way that thread is the symbol for this invisible link. My own work is progressing albeit slowly. Had an IT lesson yesterday on Final Cut Pro – a step up from the Imovie of the animations! Think I need a bit more practice but already I can see how the finished video will look and sound and this helps with visualising and hearing how the actual installation will work. March 11, 2013 March 20, 2014 by cjr01Leave a Comment on All support gratefully acknowledged!!! The weeks keep rushing by to our assessment and Final Degree Show and it’s scary realising how much work is still to do! It’s at times like these that I wish I hadn’t been quite so ambitious with this installation – the to do list is daunting. I am continuing to work with a very helpful and supportive IT technician who is showing me how to animate and add sound tracks to my 3D virtual images. At the moment he has explained and captured the installation from 3 angles and it’s really exciting seeing the work come to life. Adding the sound track gives a real indication of what the actual piece will be like. This work will continue this week and the resulting animation will be an exciting addition to my body of work. After having sent several emails asking for help/resources I was delighted to receive a reply from the Masson Mills Working Textile Museum at Matlock Bath, Derbyshire. They have said that I can borrow some of their bobbins for the installation. This is fantastic news – not only will it save on the budget, but they have a wonderful selection of sizes and shapes of bobbins which will add variation to the installation. It is a really interesting place to visit and the volunteers who give the machinery demonstrations are very helpful and knowledgeable. Be warned though – if you visit in the colder weather wrap up warm – it gets quite cold amongst all the machines. Visit the Masson Mill website for further information. I had a tutorial last week with a visiting lecturer. He had no prior knowledge of my work and although it was scary, it was also very interesting hearing what he considered my work to be about. He made some useful suggestions as well as highlighting things that I hadn’t thought about and which probably I should have!!! As the title of this post states, all support is gratefully acknowledged!! Furthermore, it is amazing how many people are prepared to help if you ask them nicely!! Thought I would tell you about an artist who’s work I really admire. Monika Grzymala creates wonderful installations using, among things, duct tape – miles and miles of it! 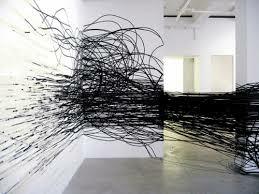 She uses the tape as a ready made line that leaves the surface of the studio and moves into the architectural space. The works make you more aware of the non-spaces in galleries and exhibition spaces. I was really inspired by the work she created for the Sydney Biennale – “The River”. It appears to have a lovely rhythm to it flowing through the building and highlights the importance of the river to the Aboriginal people. The fact that the artist included the local people in the making of the paper really emphasises the site-specific nature of the work. Do have a look at Monika Grzymala’s website – it is well worth a visit. March 7, 2013 by cjr01Leave a Comment on Another Week Another Museum! Well another week and another visit to a museum, this time the Bradford Industrial Museum. The weather was beautiful and I managed to come away with more ideas and photos. 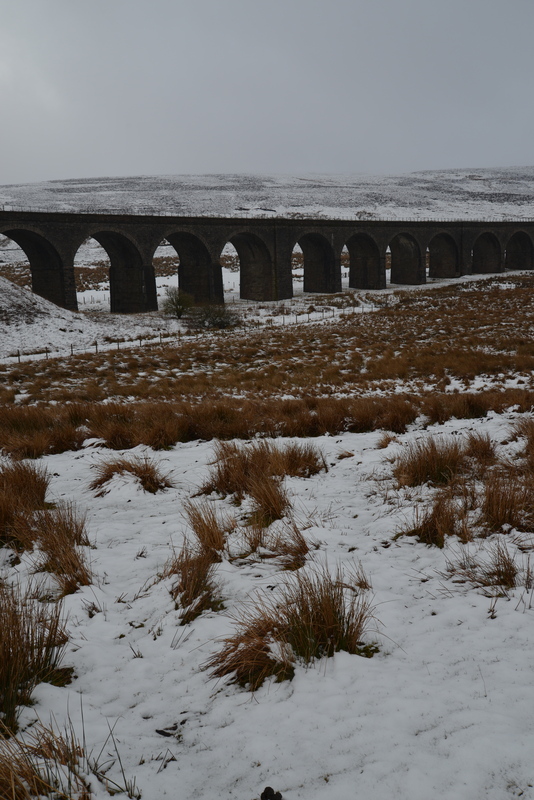 Followed this with a stroll around Salts Mill and Saltaire – both really interesting places. As far as my work is going – well progress has been made with the virtual images in so far as they have been animated and had a sample of the sound tracks added. It really seems to bring the installation to life and I can’t wait to start work on the real thing!